Obituary – Bunch, Clarence Edward « Perry High School Alumni Association, Inc.
﻿Former Perry community resident Clarence E. Bunch, 82, Stillwater, died Thursday at St. Francis hospital at Tulsa. Funeral will be at 10 a.m. Saturday in the chapel of Strode Funeral home of Stillwater. Dr. Joe Stumbaugh will officiate. Burial will be at noon Saturday at Grace Hill cemetery at Perry. 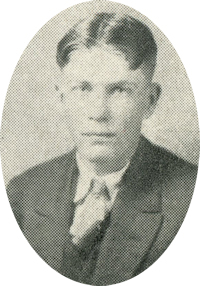 Bunch was the son of William Alanzo and Dollie May (Stockton) Bunch. He was born in Noble county, June 6, 1908. He attended Barrett and Perry schools and was a graduate of Perry high school. He received his bachelor of science and master of science degrees in agronomy from Oklahoma State university. Bunch and Myrtle Barnes were married at Enid, Dec. 15, 1934. He worked 17 years for the United States Soil Conservation Service and 13 years as range management specialist for the extension agronomy department at OSU. 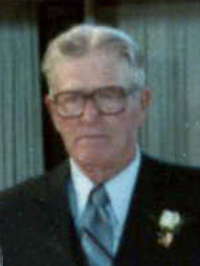 After his retirement in 1965, he opened Farm and Ranch Service Company which he operated until 1986. Bunch was co-author of The American Grass Book and 30 bulletins dealing with range conservation and management. He was instrumental in forming and holding international land and pasture judging contests for 4-H arid FFA members. In 1949, Bunch received the Soil Conservation Service of Merit award and in 1961 he was named ETA honorary Junior Master Farmer. He was a past grand master of the Perry IOOF lodge, was a member of Hillcrest Baptist church, the National Society of Range Management, the American Agronomy Society and Epsilon Sigma Phi, a national honorary fraternity. Bunch was preceded in death by his parents, three sisters and two brothers. Among survivors are his wife: two sons, Benny Bunch, Enid, and Donald Bunch, Stillwater; one daughter, Dollye Bloodworth, Stillwater; four grandchildren, two great-grandchildren and two sisters, Bessie Brown, Buhl, Idaho. and Gladys Smith, Perry.